Our moisture meters have two separate rows of balls which are placed between center shaft washer and two housing washers. The meters are applicable in the instance of thrust load application in two directions. Our clients can avail these at market leading prices. 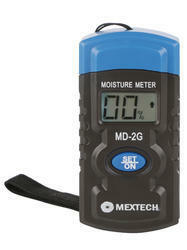 We offer Grain Moisture Meter MC7825G to our esteemed clients. 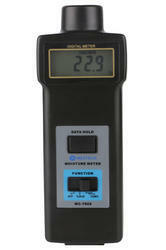 This portable grain moisture meter can infer moisture with accuracy of ±(0.5%n 0.1) and has RS232C PC user interface with it. 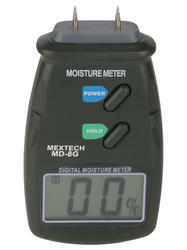 Easy to use this moisture meter is extensively used to measure moisture and temperature in the process of allotment, acquisition, storage, machining of packed grains, feedstuffs, powder. 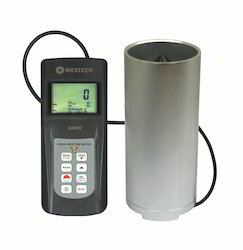 Used for fast and accurate measurement of moisture and temperature in the process of allotment, acquisition, storage, machining of packed grains, feedstuff, and powder. Applicable of wood fiber materials, wooden articles, Chinese traditional medicine, tobacco, cotton paper, building, soil and other fiber materials. Accessories: Carrying case, 9V battery Operational manual. Applicable of wood fiber materials, wooden articles, Chinese traditional medicine, cotton paper, building, soil and other fiber materials. Cable Software: USB adapter for rs-232c2, Bluetooth interface. Application: Applicable to measure the moisture level of Sawn Timber, Paper, Cardboard and hardened materials(mortar, concrete and plaster). 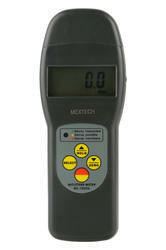 It can also Measure environment Temperature. 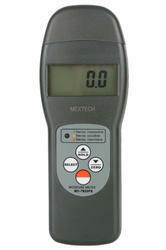 · Portable and Easy To Operate. · Auto Power Off: After 15 Seconds from last Key Operation. · Power Supply: 4Pcs X 1.5V LR44 Button Cells or Equivalent. 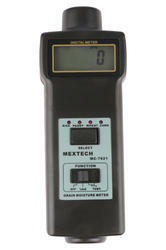 · Measuring Probe (Needle) Size : 7 mm (Attached With Meter). · Accessories: 4Pcs X 1.5V LR44 Button Cells & Operational manual.